as an athlete develops his muscles..."
Bore 10.56 mm for all these modeles. 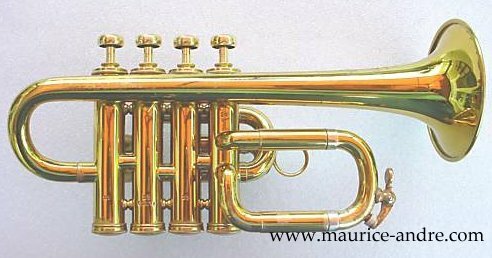 Raymond Sabarich, Maurice André's professor in Paris conservatory, told him that Selmer wanted to develop a new model of little trumpet. 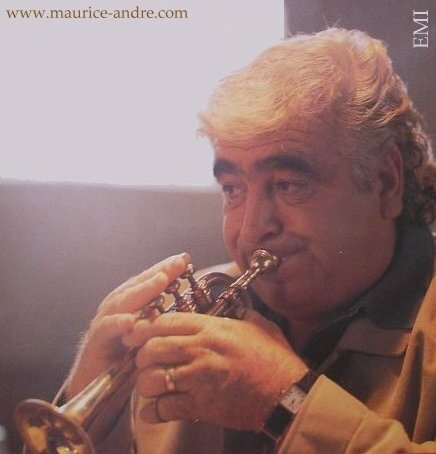 Maurice decided to work with the french manufacturer from 1959 on this project. 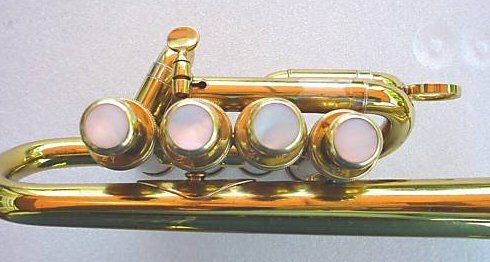 The first version of this instrument has only 3 valves, the fourth one appeared in 1967. 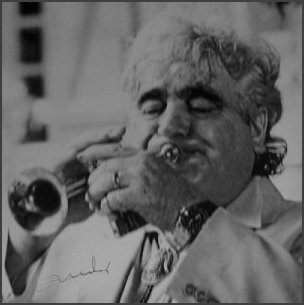 From 1967, Maurice took the place of Sabarich in the Conservatory (until 1978). 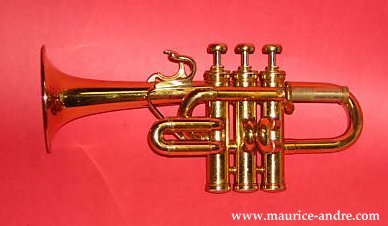 As this new instrument was perfectly completed, he obviously taught the piccolo trumpet playing to his numerous pupils (over 100). 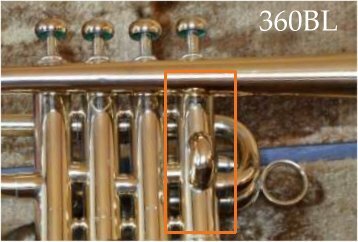 In parallel, he recorded a great deal of baroque pieces (original and transcriptions) with this litte - almost legendary - Selmer. 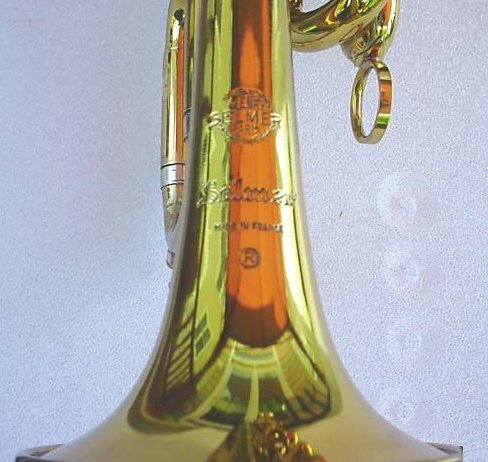 "The Selmer piccolo trumpets have a sound very close to the oboe sound. This allowed transcriptions." 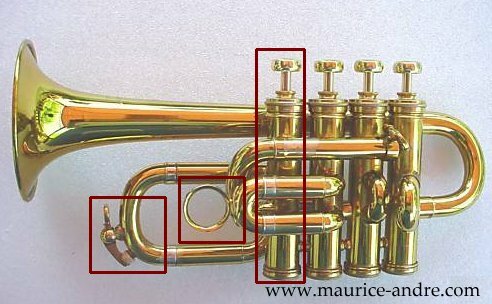 On noteraA high-quality instrument : 4 valves, tuning ring for the 3d slide, water key (Maurice's model was without water key), ideal ergonomy. 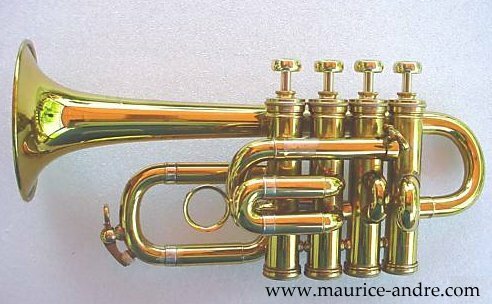 MuMaurice playing the Selmer 1967 piccolo trumpet model. He played it over 15 years. 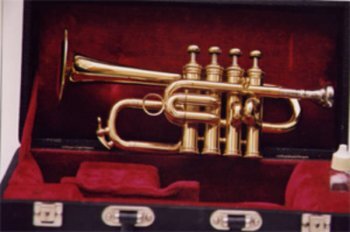 The (rare) 3 valves version of this model.